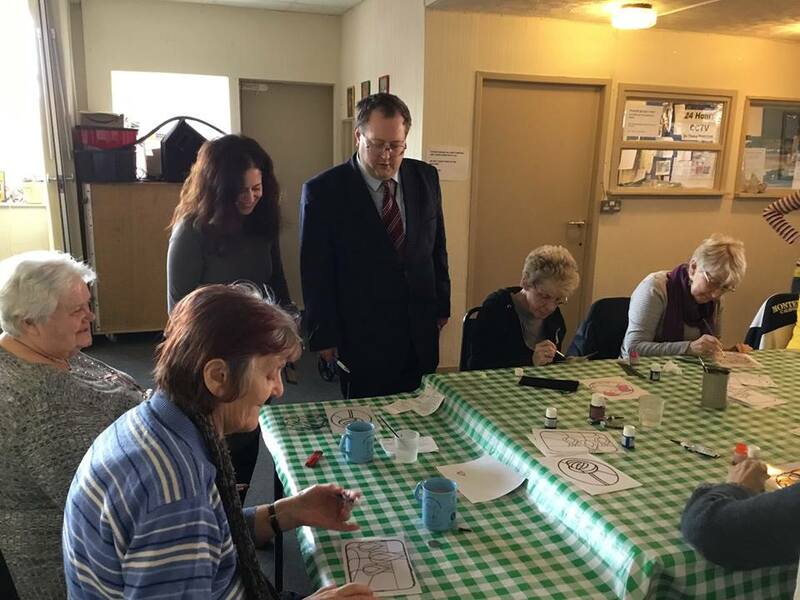 After hearing about Wheel Meet Again at the HOP sharing at the Tate, Jeremy Wolfson decided to pay the group a visit and came to the popular Arts and Crafts class on Friday 15th March. Jeremy chatted to group members (who were all working hard on their Charles Rennie Mackintosh inspired pieces!) about what they enjoyed about coming to Wheel Meet Again and the barriers that older people can face when trying to access community projects and clubs. Wheel Meet Again run classes Mondays to Fridays, 9am to 4pm. The classes are mainly held above our Garage in Mill Street. The Friday Arts and Crafts Class (2pm – 4pm, £2) is held down the road in the DCLP on Shelmore Drive, due to large numbers. For more information please contact Wheel Meet Again on 0151 708 0435.